The autumnal equinox arrives precisely at 4:21 a.m. on Wednesday, Sept. 23. Fall being my favorite season, I’m excited for: cinnamon sugar donuts with apple cider, apple picking (maybe), rounds of golf among the colorful leaves, the chill in the morning air, pumpkin carving, . . . Unfortunately, the sunrise will not move north (back into direct view of our living room window) until after the winter solstice, which is December 22nd, 2015. This entry was posted in Quote on 22 September, 2015 by Chris. 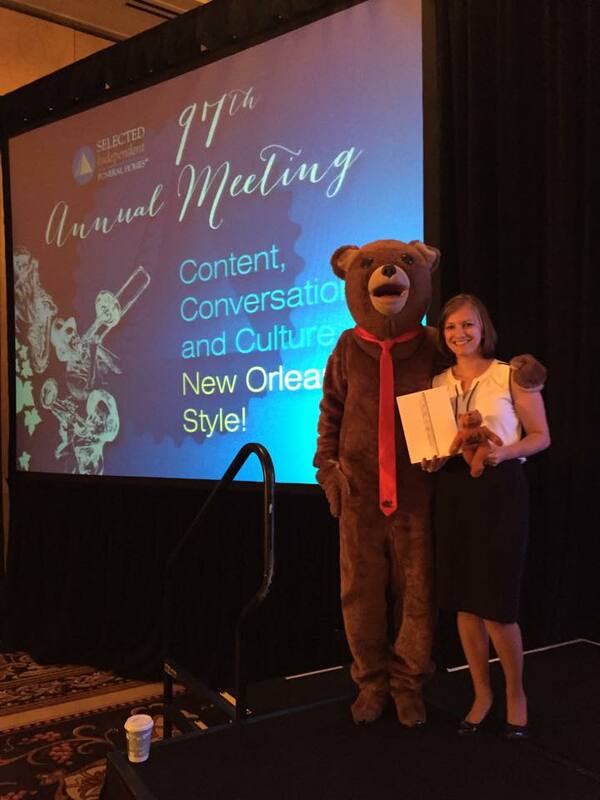 Hannah Bear Succeeds in New Orleans! The Hannah Bear coloring book that Lindsey created last spring to help children who experience a death in their family won the “Best Practice” competition at the Selected Independent Funeral Homes National Convention! Congrats, Lindsey! Harvey, Carson and I are proud of you. You can learn more about the book at The Hannah Bear, which also has contact information for Lindsey. Also, the bear you see below is Peg lent her authorship experience to Lindsey. 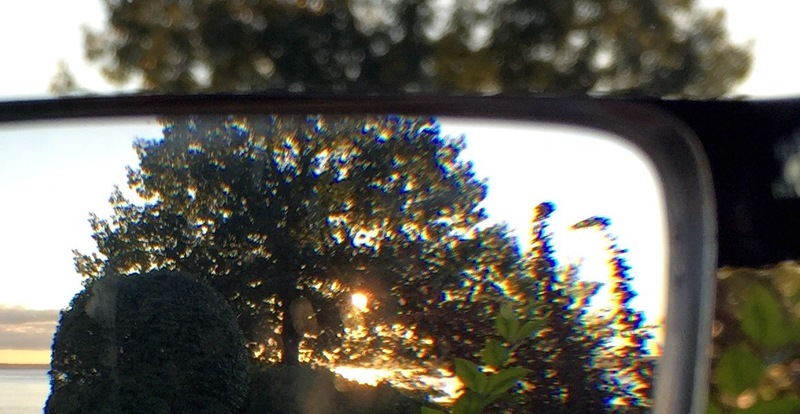 This entry was posted in Lindsey, Our Experiences on 20 September, 2015 by Chris.